In his address, the prime minister also called upon people to rise above caste and religious lines and work towards the betterment of all. Quoting saints, he said people will have to believe in 'karma' so that India can prosper in the years to come. New Delhi: In his first remarks on the issue of instant triple talaq after a bill banning it was cleared by the Lok Sabha, Prime Minister Narendra Modi today said Muslim women have finally found a way out to "free" themselves from the practice after "years of hardship". He also said in 2018, people should work towards all-round development of the nation as his government pushes for reforms measures to tackle black money, corruption, benami properties and the evils of casteism and terrorism. PM Modi said the mantra for the New Year should be "reform, perform, transform" and called for 'sabka saath, sabka vikas' (together with all, development for all). 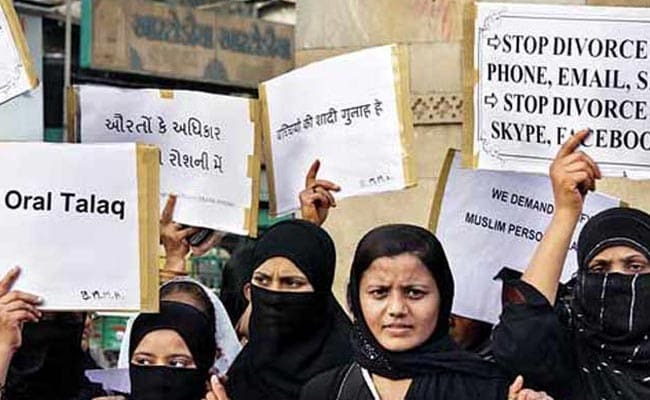 Without referring to the Muslim women Protection of Rights on Marriage Bill passed by Lok Sabha last week, Prime Minister Modi said, "The hardship faced by Muslim mothers and sisters over triple talaq is not hidden from anyone. After years of struggle, they have found a way of freeing themselves from (the practice) of instant triple talaq." The prime minister was delivering the inaugural address at the 85th Sivagiri Pilgrimage Celebrations, at Sivagiri Mutt, Varkala, Kerala via video conference. Sivagiri is the holy abode of one of the great saints and social reformers Sree Narayan Guru. Prime Minister Modi said reformers such as Jyotiba Phule, Savitri Bai, Raja Ram Mohan Roy, Ishwar Chand Vidyasagar and Dayanand Saraswati have fought a long battle for the rights and uplift of women. "Today, their souls will be happy to see the big step taken for women's rights," he said.